You need to make sure about the links to be disavowed. The main factor is about low-quality & spammy links those points to the site. The process need to be carried out only if you think the links that are to be mentioned are causing issues to your site's online presence. # The below blogspot has differnt ccTLDs. We assume Google will apply disavow to all ccTLDs. Customize the disavow text with links as per your requirements. The above format will help Google guys to understand easily. Here Domain: refers to the entire set of links in the domain and the specific link refers itself. Go to disavow tool by logging using Google webmaster owner account and upload disavow.txt file. You're done. Wait for the changes to happen! What are the various ways to get backlinks? SEO doesn't limit with on-page optimization. 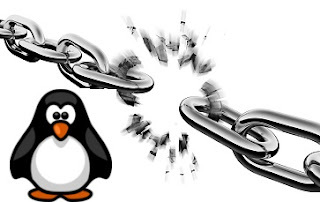 Backlinks (off-page optimization) plays major role in search engine ranking. 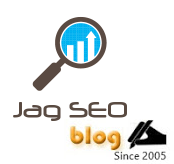 Backlinks can be created through various ways. Below is a list that can get you ideas on areas were backlinks can be created. How SEO Link Love Value Differs? As we all know links from sites are votes to search engines eyes but many do think all link love has same value. I saw few discussions on this and thought of having a note to make a clear thought on link love value discussions. Link love differs from page block place to place. A link placement in content is different from links in blogroll, footer links area or link listings - say directories. Content link love has the benefit of having related text around and it looks natural to search engines eyes. There are many article sites and blog authors who write content referring quality content pages that contain examples or O.P section. These refereed links has much value than the links submitted to directories or having links in the blogroll. So write fresh content and start getting natural links from authors and bloggers and move your page popularity much ahead. We all see that SEO has many factors, out of all Link Building / Link Promotion is a major factor, all webmasters, small scale business owners and bloggers wants to build quality links for there site or individual web page to increase website popularity and visibility. By reading the blog post you can learn various techniques by which you can build quality links for your website / blog. We see links of various types, before there was a trend of two way links normally called as reciprocal links, now it has been ruled out by most of the search engine and importance are less when compared to one way, three way and ring techniques. Google, the most important search engine gives importance to one way linking and this can be attained by following these techniques like directory submissions with page rank 3 plus, press release and article submissions depending on the theme and crowd of your website, think of your visitors and submit to most related category, you don’t have to pay for links when you have free quality directories, just educate yourself and get started with DMOZ submission. And the page should not have more than 50 to 80 links, also check whether the directories are been able to crawl by search engine, i have noticed some of the directories add no index and no follow to their category pages in order to restrict their page rank distribution, so that the home page has good page rank, but these directories will not survive for long, they will be down after some time in their rank. One of the major point to be noted is, use your keywords as anchor tags when you build links but do not stuff keywords, make it catchy so that you can improve your keyword online visibility and also referral clicks for your visitors when they browse through the directories. And also find quality links with the help of Google advanced operator, as below, place it to the search box and click search. intitle:add+url OR intitle:submit+your+site OR intitle:add+your+site " your search keyword"
One quality links can open your competition, it can win your competition with few wrong links, also you might have amazed on seeing a website with very few links and yet stand in the top 10 in search result, look into the links and recognize the quality of the Backlinks. Try to avoid automatic directory submission and build manual links, or approach a company who does manual link submission service, Build links and Build your business and website / blog popularity, hope you had nice time with this post, do subscribe this blog to know more upcoming posts.